In the end, our trip to Bohol turned out to be one made possible by miracles and kind people. And I can’t help but be grateful. 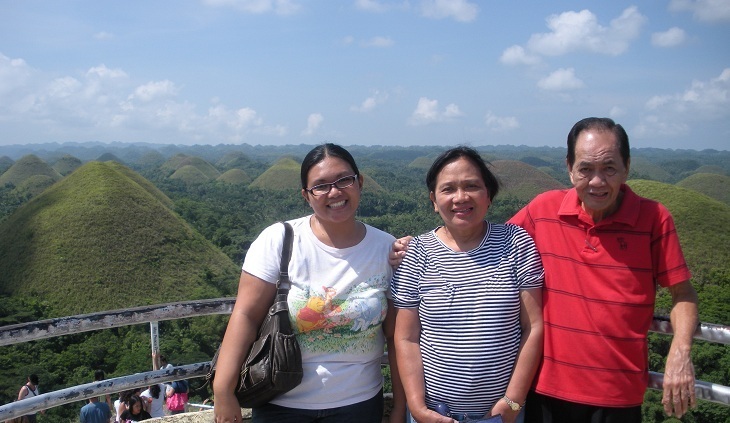 Here's the requisite family picture with a view of the Chocolate Hills in the background. But before we go into that, let me just say that that was not how I planned it to be at all. 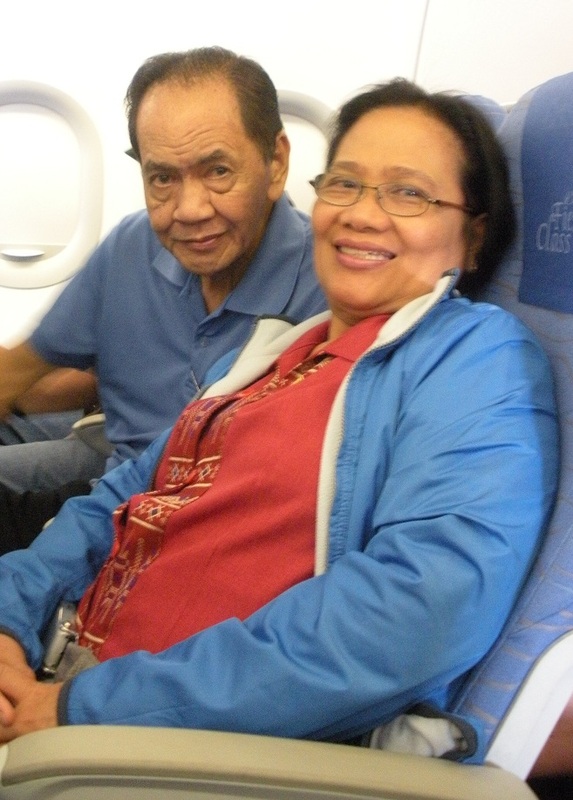 I’m OC to the core when it comes to most things, and in the case of this 3D, 2N trip to Bohol, I had no choice but to take charge because it was my idea to gift my parents with a short vacation on the occasion of their 30th wedding anniversary. (Greet them on September 20 if you know them, thankyouverymuch!) Plus, my parents are not really into planning itineraries and taking vacations. "We're happy to come, anak, but don't bother us with the details." So off to Bohol we went. And for the most part, we were able to tour the countryside of Tagbilaran (the province’s capital, also where its only airport is located) and go island hopping in Panglao (one of the country’s popular diving spots) according to schedule. 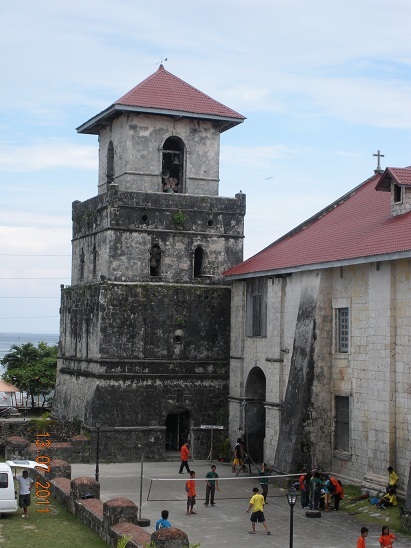 The good thing about Bohol being a popular tourist destination is that there are organized tours everywhere, cars for hire abound, and you have a wide range of accommodation options. In our case, I rented all modes of transportation needed for our entire stay (more details on this later) and made arrangements with the driver and boatman to double as our tour guide. That way, the only schedule we had to take into consideration was ours. 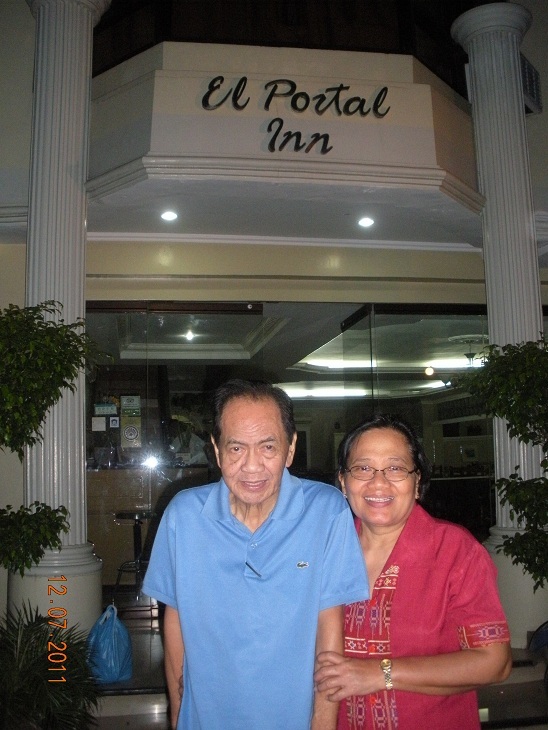 My parents strike a pose in front of our inn. For our accommodations, we stayed at El Portal Inn in Tagbilaran (P1,250 for a family room that’s good for three) for one night and at Dumaluan Beach Resort 2 (P2,550 for a superior de luxe room with extra bed, inclusive of buffet breakfast for three) the night after. I’d recommend both places, actually. El Portal is minutes away from everything you need in the city (ATMs, malls, restaurants, city port, airport, etc.) and if you make arrangements days before you land in Tagbilaran, they’ll pick you up from the airport for free. Dumaluan, on the other hand, offers a magnificent view of the beach and a sumptuous breakfast buffet which includes flowing coffee and whatever fruit is in season. If you’re looking for grand and rich and luxurious, Bohol is not the place for you. The churches are big and were perhaps grand at one point in time, but now they exude faded glory and old-world charm. The Loboc River cruise is as basic as cruises get, but you get the feeling that you are communing with nature. 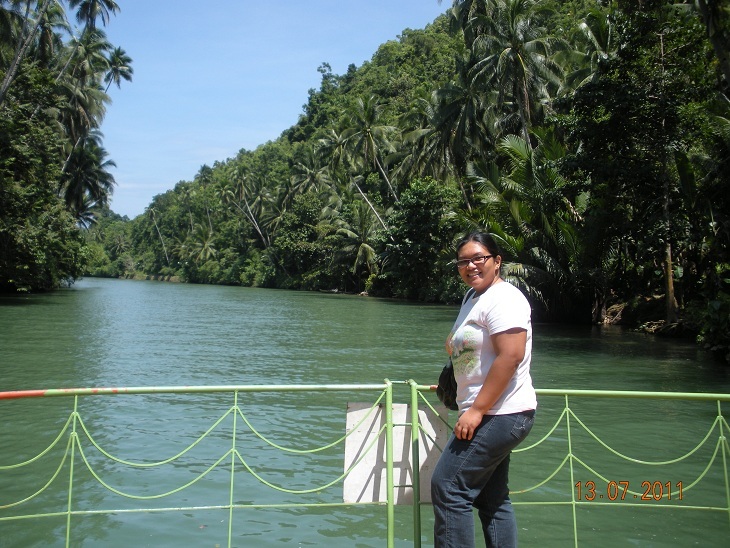 That's the Loboc River in the background. 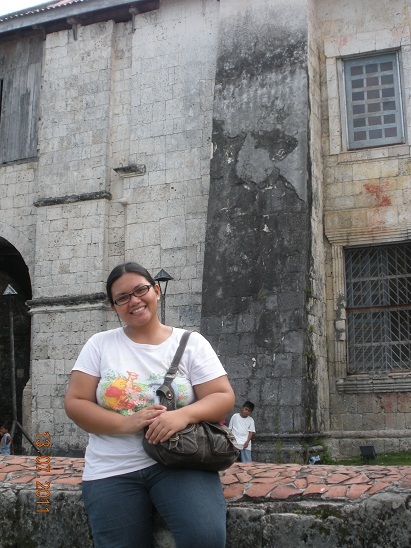 My personal favorite is Baclayon Church, not because of the church itself but because an image of Padre Pio of Pietrelcina inexplicably appeared on one of the church’s weathered walls. It’s an interesting sight to behold. ...surely you won't miss it here. Unless you have absolutely no sense of imagination. I also enjoyed exploring the small and not-so-dark Hinagdanan Cave as it was my first time to see a cave that was so easy to reach. There are paved roads to the site, concrete stairs to make the descent and ascent easier, and a friendly tour guide to boot! 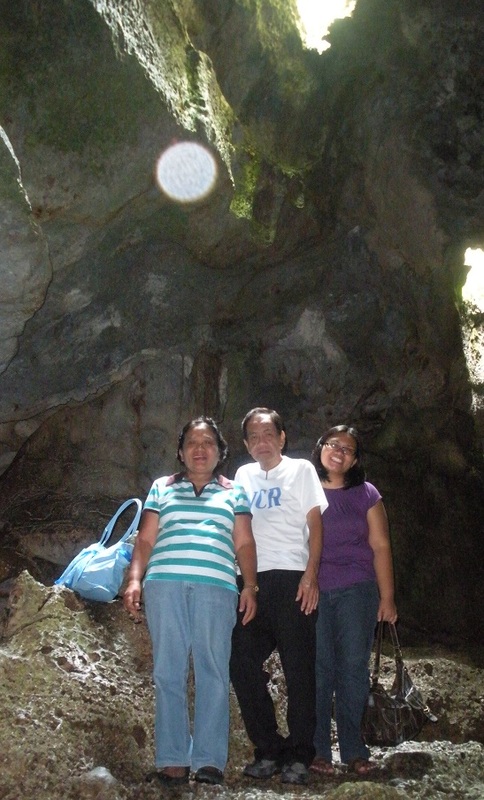 It took us but ten minutes to reach the end of the Hinagdanan Cave. All tourist spots (except for the Blood Compact Site and Bohol Bee Farm) are also peppered with donation boxes, but really, you shouldn’t let this turn you off. You’re not required to drop anything, anyway. Some sites you can visit for free are the Blood Compact Site, the man-made forest, and the souvenir shops which double as tarsier-viewing spots. 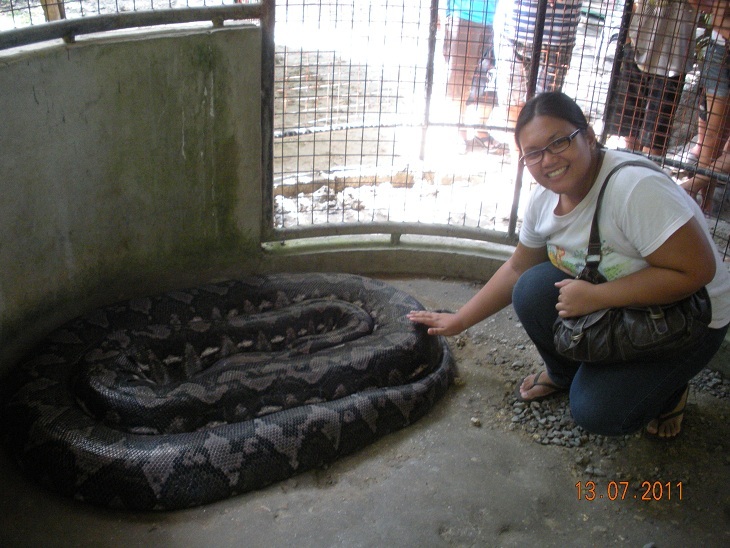 I was also quite impressed that we didn’t have to pay any entrance fees to Balicasag and Virgin Islands. Of course, reaching these places will cost you. We rented a private car (P2000) for the countryside tour which lasted the whole day, but I’d have to say it was worth every penny because we had a rocking driver in Mang Manuel (09302154531). I was so happy with how helpful and accommodating he was, I also hired him to drive us back from Dumaluan 2 to the Tagbilaran airport the next day for P500. When stuck in the middle of nowhere, the best thing to do is to take pictures. 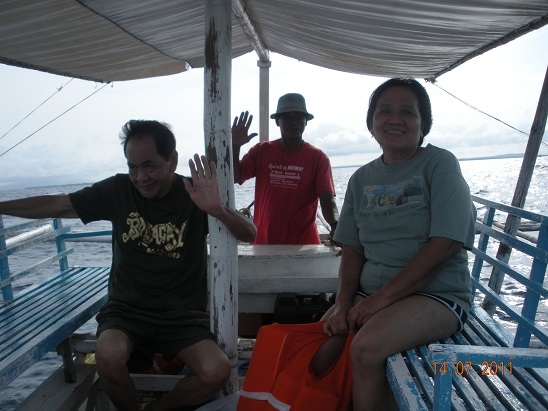 The boat which made island hopping possible also came with a P1500 price tag. And this is where the first miracle comes in. We weren’t so lucky with the boat (Spirit of Norway II) we hired for island hopping. The boat ride from Panglao to Balicasag which usually takes 30-45 minutes, for example, lasted for an hour and 20 minutes! The boat’s motor finally broke down while we were en route to Virgin Island, so we were in the middle of the sea waiting for I don’t know what for a good 20 minutes! Thankfully, another boat came along and the boatman got his passengers to agree to have our boat tied to theirs so we could reach Virgin Island. Our boatman got the motor fixed while we swam and ate fresh sea urchin dipped in vinegar and drank coconut juice (fresh from the tree!) in Virgin Island, thank God. It was interesting to explore this place because it has a very, very long sandbar when the tide is low, but the entire island becomes submerged in water during high tide. Cool. The second miracle is one I’m so thankful for because it negated my stupidity. I thought our flight home was set to leave at 3:30p.m., so we were at the airport at 2:30. Apparently, I read it wrong…the ground attendant patiently showed me that the e-tickets I printed clearly indicated it’s at 13:30!!! Shoot. 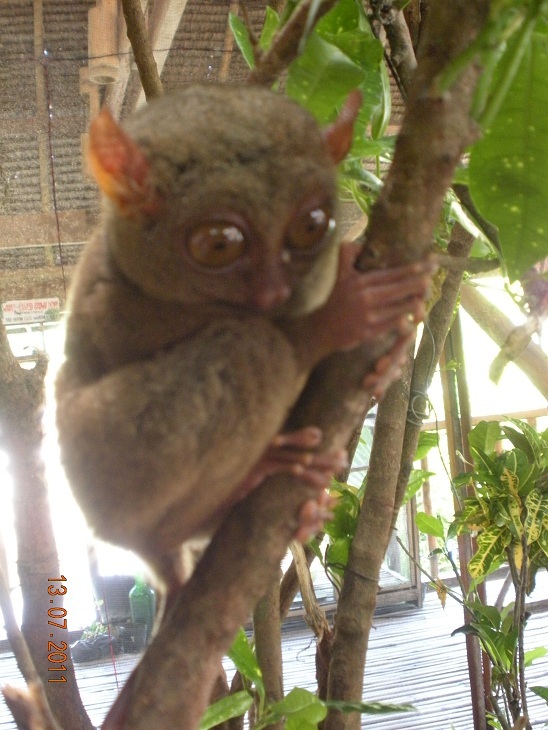 Oh yes, Mister Tarsier, you're one of Bohol's grand residents, too. The counter was already closed, actually. She had every right to turn me down and say that I have to purchase new tickets. But the kind lady at the Cebu Pac counter smiled and said the plane which would take us back to Manila was running late and could I please present any bags I wanted to check in so she could print our boarding passes already. Oh dear universe, I’ve always believed and all but, NOW I AM A BELIEVER! Thank you! What’s more, upon finding out that my parents were both senior citizens, she took back our boarding passes and gave us better seats! At no extra cost and with a smile at that! I knew I deserved some bickering and was willing to take it, actually, but I guess God just wanted to remind me that regardless of how much I screw things up sometimes, He’ll find a way to make all things well. So perhaps it’s time to take my words back. Bohol may not be rich and luxurious, yes, but there’s grandness and magnificence in the people who live in that island paradise. I think it would be a great disservice to them if I ignore that.